Tomb Raider is an all new trilogy not following the events from the previous Tomb Raider installments. The following reboot follows the returning main character from the video games past Lara Croft in an all new epic journey. The game is presented in a first-person shooting format and is following the origins and a brand-new action-packed adventure of Lara Croft. Players get to play as Lara in an all new adventure. 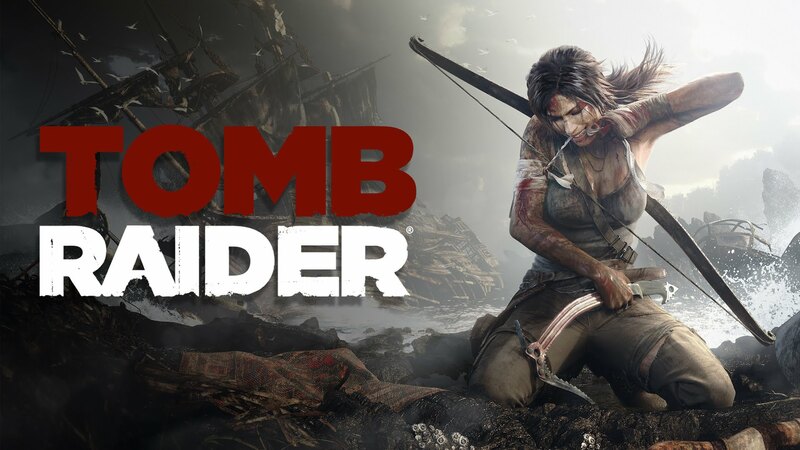 The new campaign mode is set to take place on the small island of Yamaiti where Lara searches for a new treasure but trouble is a foot with a vindictive cult searching for the same prize. The game has an all new spokes-model that engages the action, adventure, exploration, and survival format to the game’s importance. Players can travel through different sections of the game through footpaths, camping grounds, climbable paths, and can zip line across the islands if necessary. The game has improved in a few areas including an all new stealth mode and quick missions that players can find throughout the games story mode. Players can now use free-aim using Lara’s bow and arrow and other guns she carries with her. You can use her bow to aim wherever you desire especially pointing towards an enemy as part of the all new stealth mode. Lara’s survival instincts are also included when a player can quickly press the right analog stick to highlights certain objects and enemies. Solving puzzles will also be apart of this inclusion of the game as players have to do a little thinking outside the box to get around to the next checkpoint. Players will be receiving RGP elements throughout the games main plot and players can earn new experience points while using different skill sets. Based on the players actions given their performance through the story mode the performance makes up part of your points, based on the points a player collects treasures, combat skills, attires and collectible cards. The returning alert system is back with selected instincts such as survival, hunting and combat and you can use all of them while pressing the right and left analog sticks of the X-box 1 and PlayStation 4. Each ability is upgraded in different ways and will need storage for weaponry while going to the checkpoint select storage because the more weapons the so better you don’t have to search and find them. Players can upgrade and create new weapons using salvage throughout the island of Yamaiti. Throughout the island once the player is in mid-way through the story mode there’s better items, equipment, and weapons for the gamer to use. In Tomb Raider the game also has an all new multiplayer mode and this is actually the very first time a multiplayer mode is included in a tomb raider game. There is single mode and online mode that allows players to play throughout different places of the games map. There’s new campaigns throughout the new mode called team death match, cry for help, and private rescue. It’s survival of the fittest and you have to stay alive at all costs. Lara needs your help and your full attention. Are you ready for an all new adventure? Think you have what it takes to play as Lara Croft? Tomb Raider is out now for the X-Box 1, PlayStation 4, and Microsoft now.